Hie on over to The PegBar and Grill to listen to the animated history of M. in the first person – very singular. Well, (urgh!! ), it’s all happening! I say ‘urgh’ because this is the first time I’ve ever stuck my head up above the parapet. Don’t shoot, don’t shoot!! Last month ‘A Recipe for Gruel’ was screened at the NFT and various other locations around the country as part of the BAA Public Choice program. That was fun because I was able to get some friends to fill out the audience and clap where necessary. This past week I have been informed that it has been accepted to be shown in Toronto ( TAAFI ) and Animafest in Sofia Bulgaria both in mid May and Zagreb and Annecy in early June. So whether I like it or not (or they do), somebody is going to see it. I sort of think it’s all rather exciting. 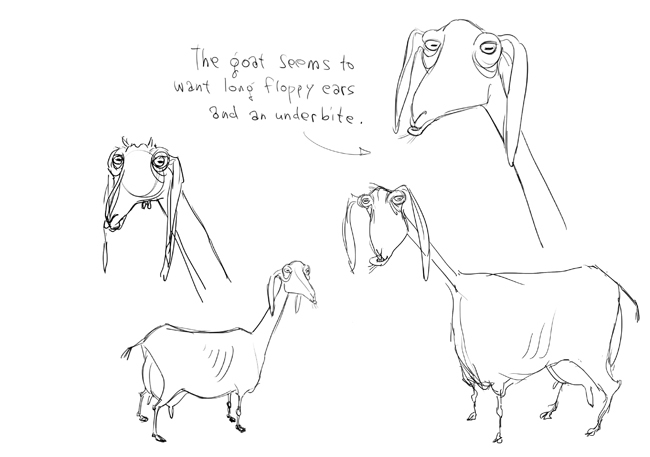 This isn’t news but a few of my animatic drawings from the ‘making of’. 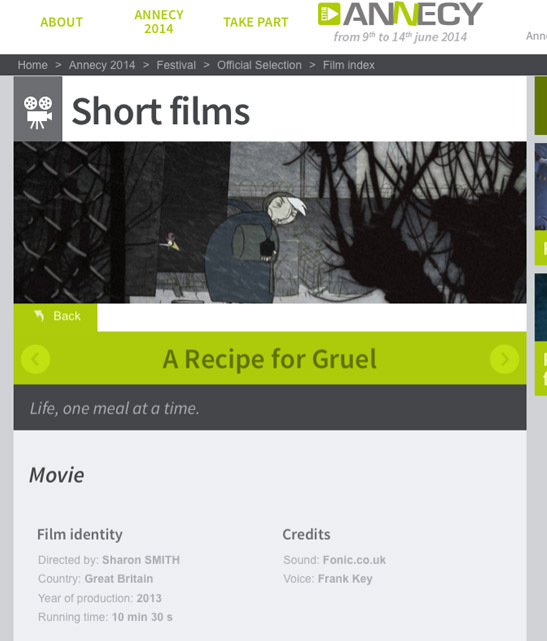 A Recipe For Gruel will be screened in the Panorama Selection at Bradford Animation Festival later this month!